Ride-hailing services might seem like a money-saving alternative to buying a car for people who live in urban areas. But according to a new study, it’s not nearly as cost-effective as you’d think. The AAA Foundation for Traffic Safety found that using ride-hailing services like Lyft and Uber as a primary mode of transportation works out to be far more expensive than owning a car – even with fuel, insurance, parking, and the vehicle itself considered. According to the new AAA study, relying on ride-hailing services could cost a person roughly $20,118 per year. The study focuses on urban settings, which are the only practical environments where personal cars could be replaced with ride-hailing, AAA notes. In urban areas, the average driver puts 10,841 miles on their car per year. 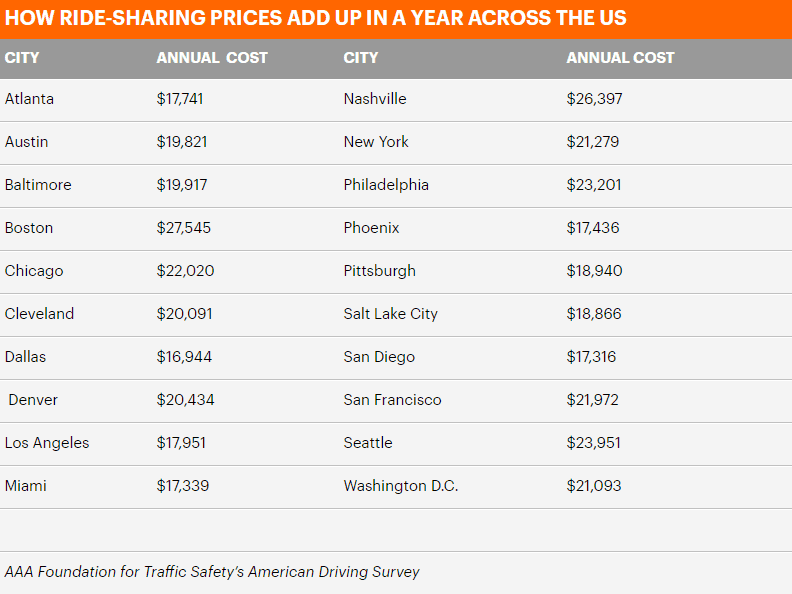 Even in cities with lower annual ride-hailing costs, such as Dallas, TX ($16,944), the expense is still much greater than the costs associated with car ownership. 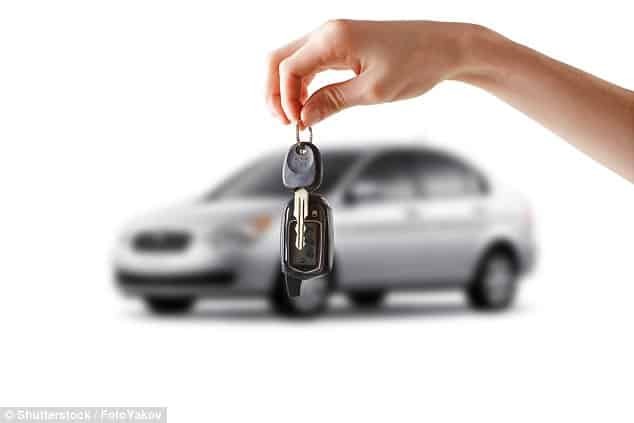 An earlier study by AAA found that the average new car costs a driver $8,469 annually, or $706 per month based on 15,000 miles driven. For 10,841 miles of travel annually, the firm estimates the cost to be around $7,321. ‘Whether you own a vehicle or not, ride-hailing services are a convenient transportation option,’ said John Nielsen, managing director, Automotive Engineering and Repair. In some major urban areas, the estimated annual costs for people who rely on ride-hailing services are staggering. In New York, AAA estimates people pay about $21,279 per year – and in Boston, this number is upwards of $27,000. Parking is one area that can be a killer when it comes to cost; according to the AAA estimates, this costs anywhere from $706 (Phoenix) to $8,088 (New York) per year. But, even with this expense considered, using ride-hailing services was found to be the more costly option. For those lucky enough to have access to free parking, the use of ride-hailing services works out to be almost three times as expensive as vehicle ownership. ‘For those who travel a very limited number of miles annually, or have mobility issues that prevent them from driving a personal vehicle, ride-hailing can be a viable and important option,’ Nielsen said. Previous article Are we getting close to an all-electric future when it comes to car ownership in the UK? Next article What Smart City Initiatives Will Emerge First?